Sunday supper.. For Mrs Fitz it has to be roast beef. And lucky enough I still have a stash in the chest freezer! Sunday lunch is one if those great meals.. A meal where you get to slightly overdo it.. Just for that meal..
To make it a bit easier on the tummy we skipped starters and desserts.. So that’s fair right? Firstly the spuds.. Roast spuds WOAH! I cannot think of anybody I have ever met that doesn’t dig a roast spud.. Nobody.. 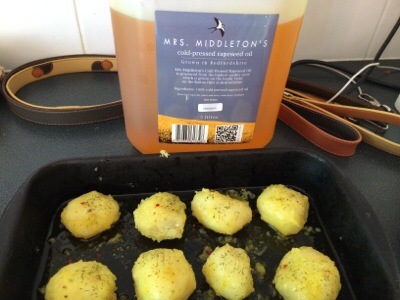 These were king Edwards .. Parboiled roughed up and drizzled with Mrs Middletons oil , chilli and garlic and dill.. Now the neato trick here is .. Let the spuds go cold in the oil .. Rough em up every now and them with a fork to really help the oil and seasonings get into the spud . Then once cold..
Back into the oven to part cook.. Again take them out and leave to cool. Time consuming ? Perhaps. Yet it is Sunday so you can chill with the radio of papers while this is going on.. They will be finished off whilst the top rump is resting. Also a good time to make the batter for the Yorkshire puddings. There are so many recipes that I won’t get into that .. However I do like to add some herbs also.. 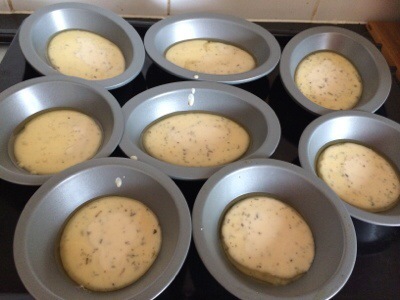 Herbs de Provence this time around.. Leave the batter to stand.. A good while..
Add a drop of of goose fat in my case to the tins.. I really must get myself another Yorkshire pudding tin. Put it on the list .. 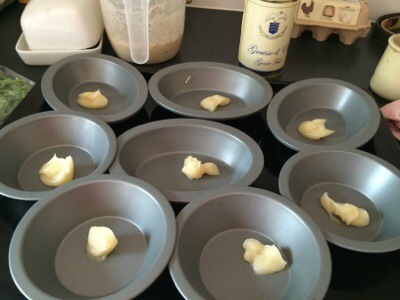 Yet these individual pie tins work too..
Heat the fat up in the tins and when pour the batter in. Don’t open the door now! When almost cooked remove again and remove from their tins.. They won’t be as super puffy as you may expect or like.. Yet frickin tasty ! 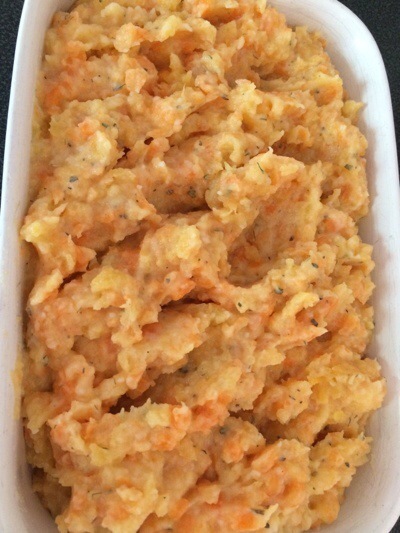 Also peel the swede and carrots for the mash.. Boil them up till tender and mash with butter . Himalayan pink salt. 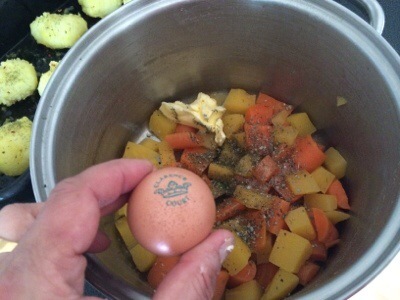 Bristol blend pepper, a sprinkle of chicken powder and one hens yolk . Adding the pre mashed potatoes to the mix. Whooping together and turning out into a dish. Sprinkle paxo stuffing over the top.. It works! 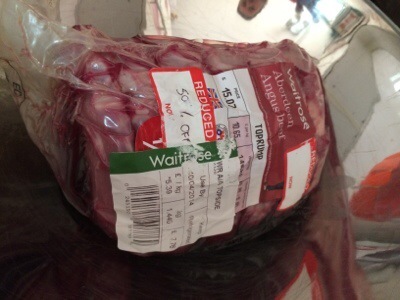 This will also be ready to crisp up when the beef is resting..
Why do all this in advance? Why not! It also means that the meat has to rest while everything else finishes off . It also means that Mrs Fitz can go walk the hounds.. and I can go to the pub for a couple of pints. Ahem! The beef? My attorney taught me this ‘trick’ a while back.. Seasoning the meat with stock powder . It works real nice.. this time I used veal jus powder.. 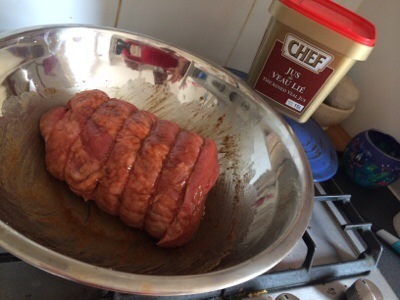 Simply roasted the beef till we like it.. It went a little over this time to be honest yet was deliciously tender. And while the beef was resting its time to gradually use the residual heat from the oven to finish off first the spuds. then the swede, carrot, potato mash .. Then the yorkshires while boiling asparagus and French green beans.. You gotta eat you’re greens! Oh ! The gravy! 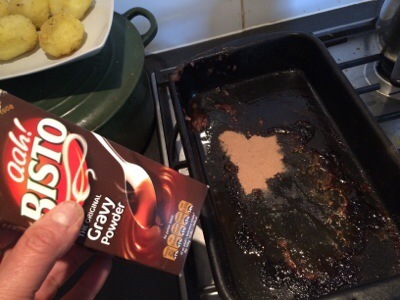 leftover gravy found in the top freezer.. With the addition of more veal powder .. Bisto powder added to the tin that held the meat . scrape scrape .. adding the boiled up gravy and veal powder.. Just an extra splash of water to thin it out a bit..
Why is it that I always read this at 6am and end up feeling inappropriately hungry for that time of day? 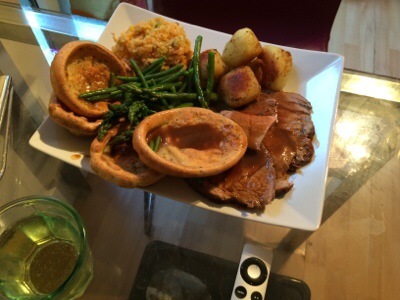 This looks so good, but I am not sure that a roast dinner for breakfast is allowable unless you are Henry VIII. I think it’s perfectly allowable! Ahh Bless you! It’s people like you that make life worth living! Does Mrs. Fitz know how lucky she is? awesome cool foodie site, Mr. Fitz!